Of course not everyone can attend a Hobie World Championships and the best regatta for you may have been the local championships. It doesn’t matter, just so long as you raced you Hobie and had fun with some friends. Participation and friendship is the main aim of our class. Recently I was selected by World Sailing to be part of their team of International Officials at the Olympic Games in Rio. It was a wonderful experience to part of sailing event that has such a large budget. Lots of technology, and a very big volunteer group. To see some of the former Hobie 16 World Champions compete at the Olympic Games fulfilling their goals was pleasing. There were of course a few more Hobie sailors also competing. To me it demonstrated the Hobie Class is a good pathway for those that do have the ambition to compete at the Olympics. 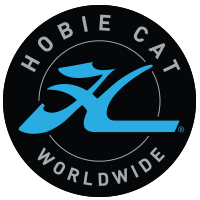 As we all look forward to 2017, yes time has gone that fast, the Hobie Class hosts another World Championships for the Hobie 14 and Wild Cat Classes and a European Championships for the Hobie 16 – Hobie 16 Spi – Hobie Dragoon – Hobie Tiger – Hobie FX One. This will be held at Noordwijk – The Netherlands / 20-29 July 2017. We hope as may of you will be able to attend as possible. Though the main objective is to get your Hobie out, race and have some friends who all enjoy their Hobie racing. So whether you aim is to compete at the next World Championships or local regatta or anything in between. Take your Hobie out and have with some friends. It makes no difference how young or old you are, there is always a place for you at a Hobie Regatta. Truly a class for life.